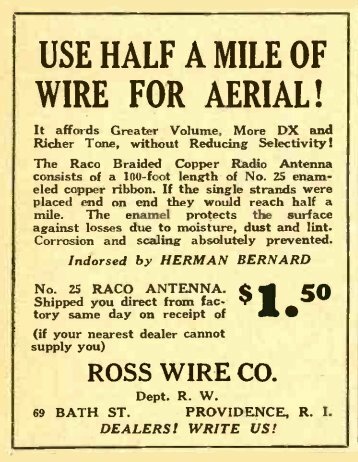 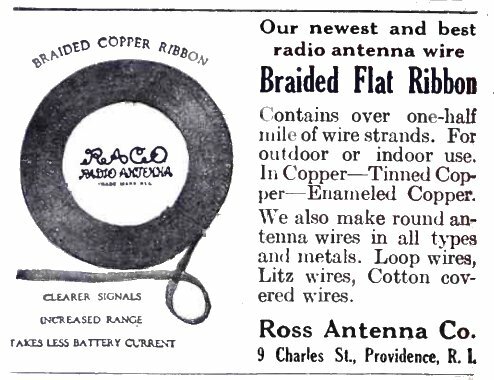 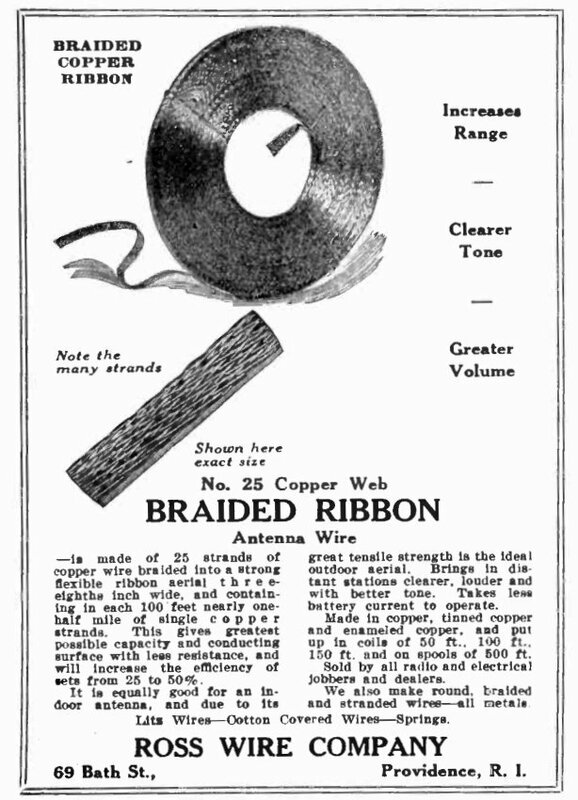 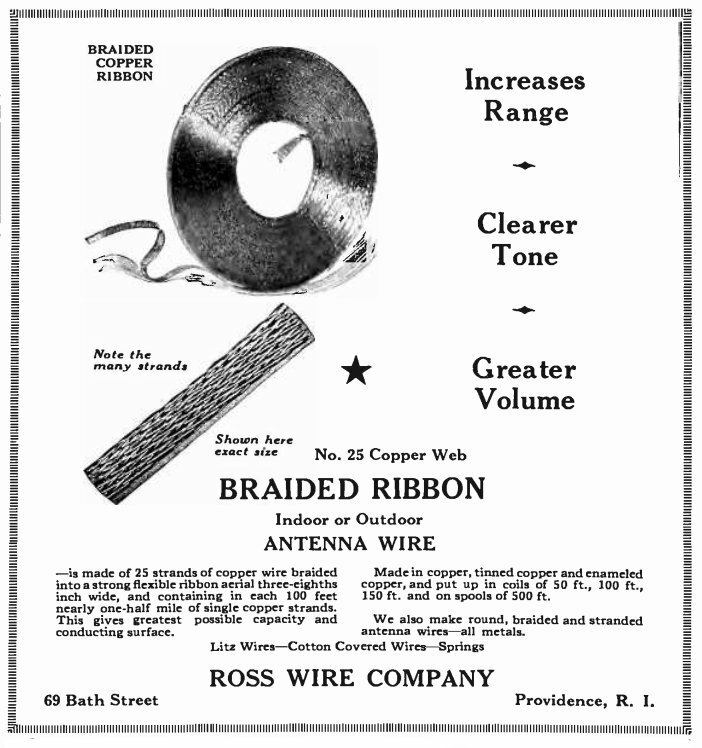 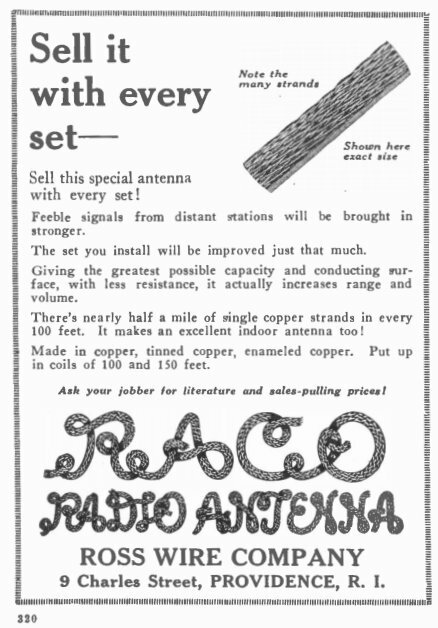 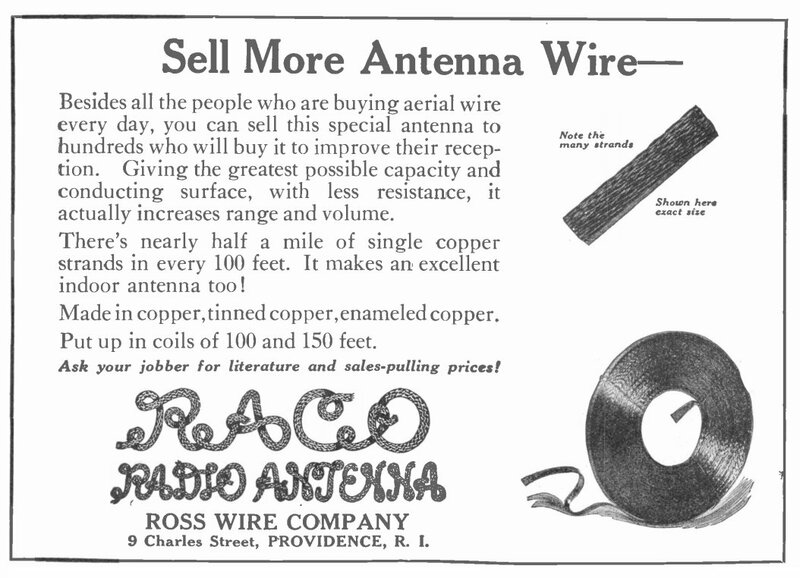 We start seeing Ross Wire Company ads in 1924. 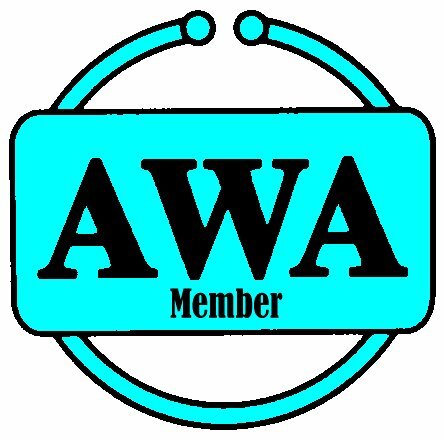 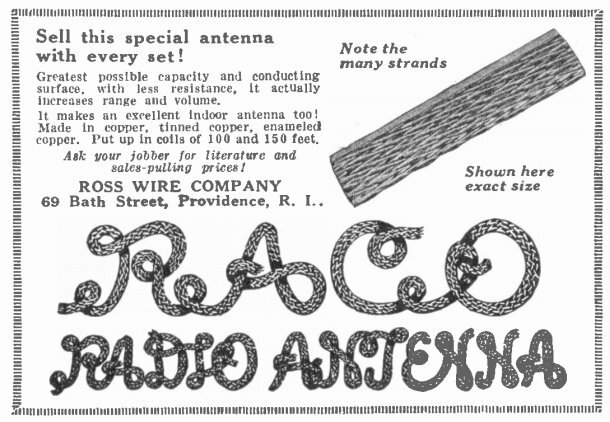 Their main product is braided antenna wire. 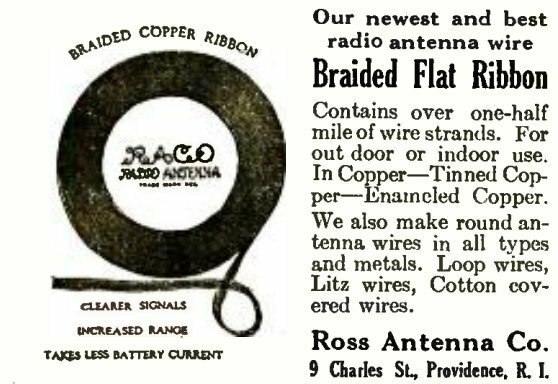 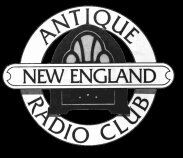 Ads had their location as 9 Charles St. and 69 Bath St. Their trade name was RACO. 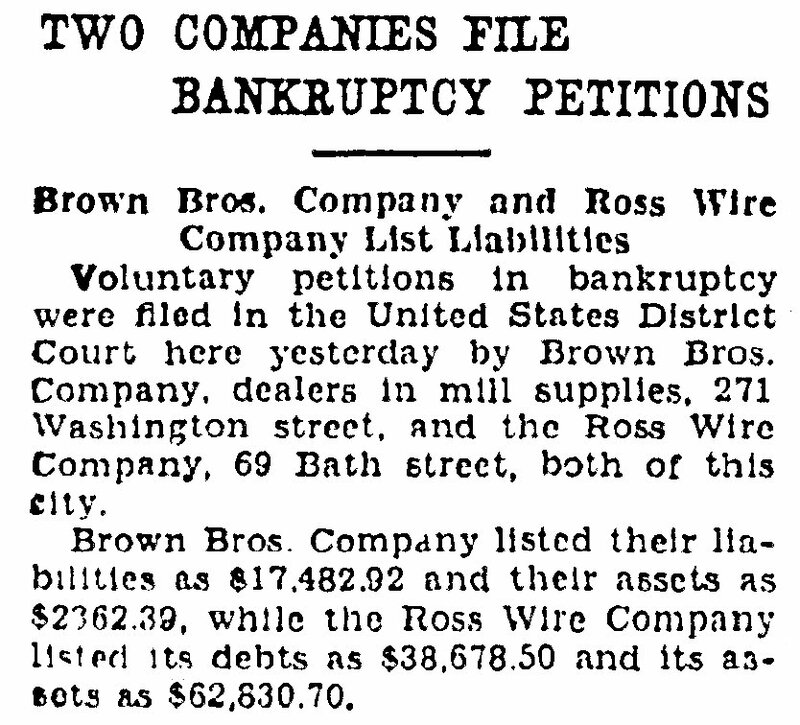 We also see the name Donald N Ross involved in two real estate transactions having to do with their location on Bath St. 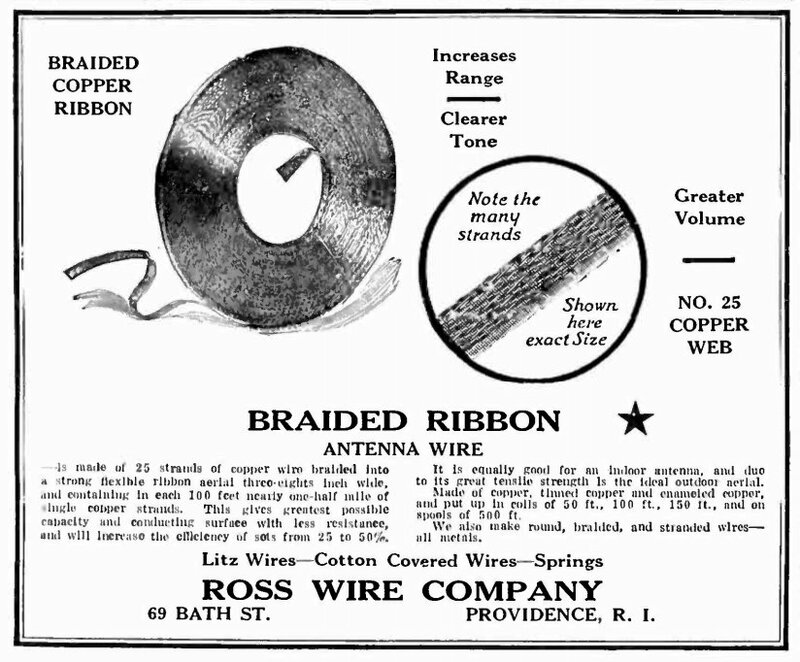 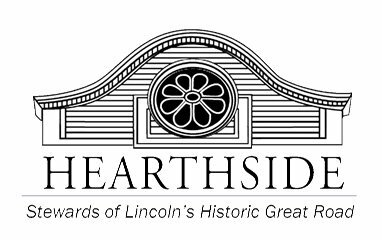 In 1926 there is a listing for a Trademark from the United States Patent Office 1. 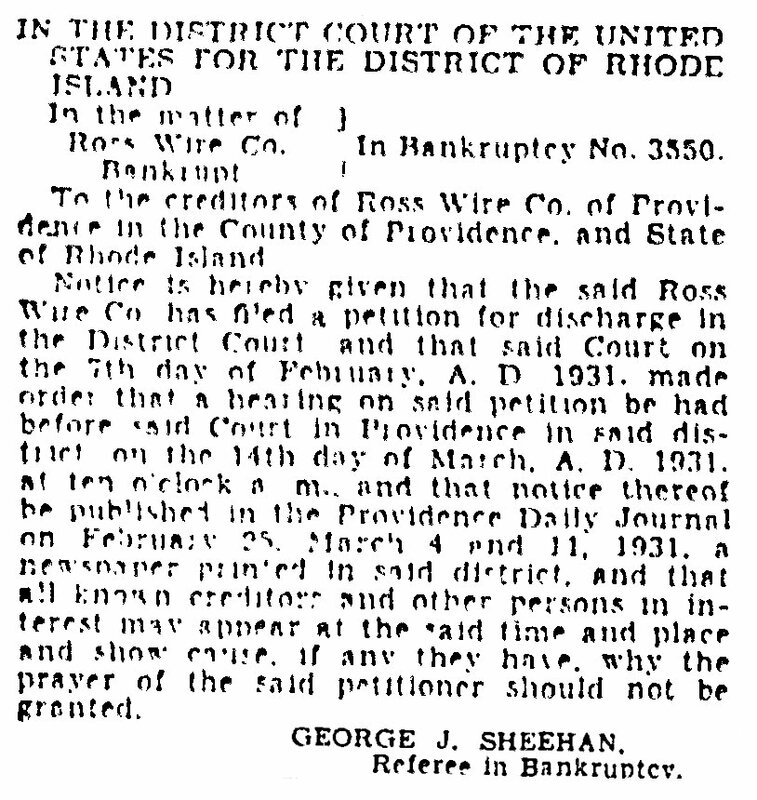 We also see the court ordering Frank N Boss to pay off his debt to Ross Wire at the rate of $5.00 a week. 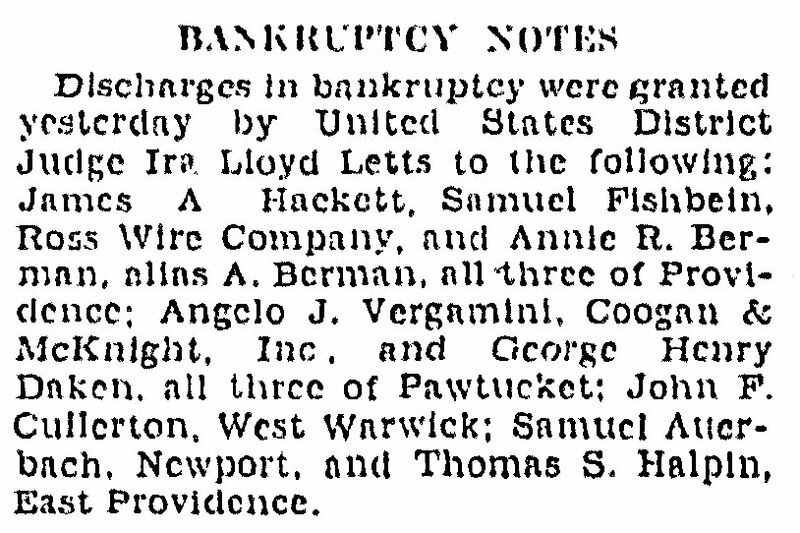 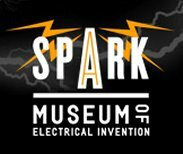 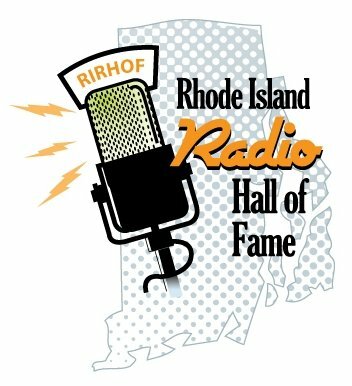 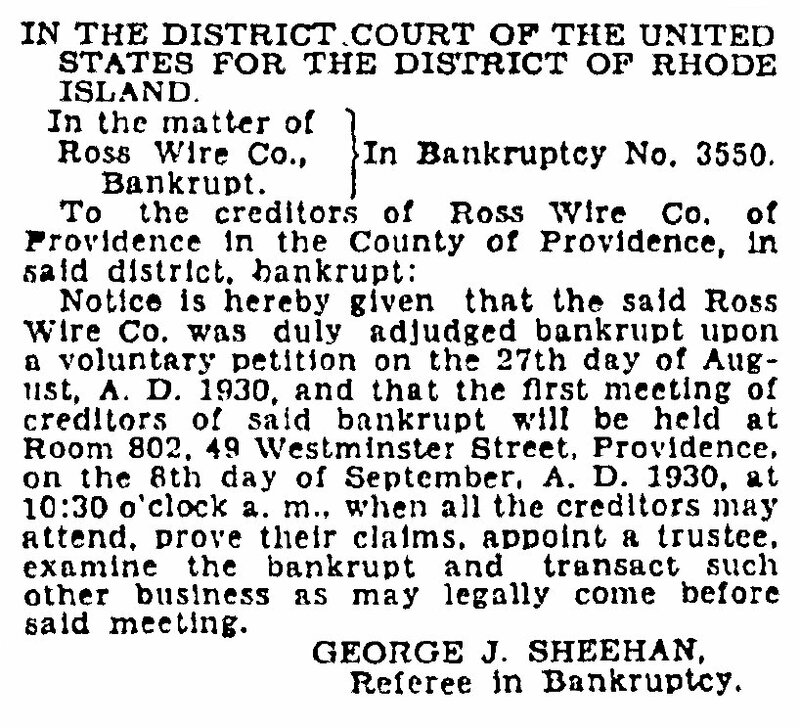 In 1930, Ross Wire files for bankruptcy 2.